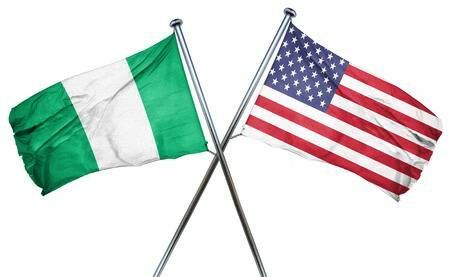 If you are reading this article then it means that you are a U.S citizen and is planning a trip to Nigeria. So you would like to know what the Nigeria visa requirement for US citizens are. Well, you have come to the right place. 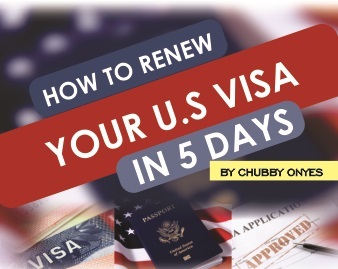 So without taking any more of your time, we are going to answer all the frequently asked questions about the Nigerian visa requirement by Americans. Let’s get the ball rolling. Do US citizens need a visa to go to Nigeria? Yes all US citizens need a visa to go to Nigeria. Unless you are have dual citizenship in both the United States and Nigeria. This means that you carry both the U.S and Nigeria international passport. What is the Nigeria Visa on Arrival? Visa on Arrival simply means that any eligible immigrant is allowed to enter the shores of Nigeria before a visa is issued at the port of entry (entry airport) by the Nigerian Immigration Service. This is not to say that you should pack your bags and hop on the next available flight to Nigeria, you should be eligible, there are some requirements and prerequisites you must fulfill before traveling to Nigeria. Can you get a Nigerian visa on arrival? Yes you can. There are two ways of getting the Nigerian visa on arrival. OPTION 1- Use a Visa Agent within Nigeria – I strongly recommend this! What will a visa agent in Nigeria do for me? Full name of visa applicant. A scanned copy of the bio data page of applicants international passport. The reason for visa to Nigeria. Evidence of sufficient funds (e.g. bank statement). The proposed date of departure. A Letter of Invitation host or from a company in Nigeria accepting immigration responsibility (where applicable). Flight and hotel reservation ( These documents can be produced by the agent). Email address of the visa applicant. With these information and documents, your agent will submit your visa application and a visa approval letter will be given to your agent on your behalf and copies of this letter will be sent to the immigration office at your proposed port of entry and your reserved airline. Your agent will send you this approval letter via email. With this letter, you can now travel to Nigeria. When you arrive Nigeria, you are to present this pre-visa approval letter to Immigration officers at the “Visa on arrival” desk at the airport. You will pay visa fees and a visa will be issued to you by them. I do not have an agent in Nigeria to help with the visa on arrival process. What do I do? We are here for you! We, at travelvisa.ng will help you cut through all delays and bureaucracies to have your visa approval letter issued to you within the shortest time possible. Contact us at assist@travelvisa.ng or via phone: +2347033378184. Let’s help you! How much is Nigeria visa fee? With Option 2, you can go online and submit an application. I do not recommend this option because it drags and drags and drags. To go the Nigerian Immigration Service homepage click on this link: https://portal.immigration.gov.ng/pages/welcome . Scroll down to where we have “Visa on Arrival Program and click on “Apply for Visa on Arrival”. When the page opens, select the processing country (i.e. the country you are applying from) then click on “Start Application”. When you are done filling and submitting your application online, you can proceed to pay your visa charges. click on “Proceed to online payment” to do so. Normally, your application for the Nigeria visa on arrival should be processed and a visa approval letter issued to you within 2 working day but like I said earlier, this process may be delayed for unforeseen circumstances and this is why I strongly recommend OPTION 1. Reach out to us today, Let’s help me process your Nigeria Visa on Arrival immediately. Call us at +2347033378184 or via email: assist@travelvisa.ng. We are at your service 24/7!